Blood Pressure Dual Memory 1 Ct By A & D Medical. 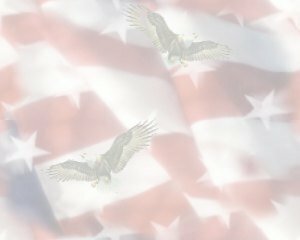 Item Number.:DC3666302/DB10004050. Clinically validated for accuracy, the LifeSource Advanced Memory Wrist Auto Inflate Blood Pressure Monitor allows you to easily measure your blood pressure away from home. The monitor features a morning/afternoon memory function, a Pressure Reading Indicator that interprets the numbers, and an irregular heartbeat feature that alerts you to unusual heartbeats. It runs on batteries, making this wrist monitor convenient for measuring your blood pressure when you need to. With a compact, lightweight design, this wrist monitor makes it easy to check your blood pressure when you are away from home. The portable wrist cuff and monitor of the Advanced Memory Auto Inflate Monitor are integrated into one piece for portability, and the unit comes with a carrying case for convenience. The wrist monitor's AM/PM memory function stores the last 60 measurements, 30 from the morning and 30 from the afternoon. This allows you and your physician to monitor your morning and afternoon readings over the course of a month. With these readings, physicians have the opportunity to compare your readings throughout the day and accurately prescribe medication. Unlike monitors that measure blood pressure during deflation, the Advanced Memory Wrist Monitor measures pressure as the wrist cuff inflates for faster, more comfortable reading. It has been clinically tested, ensuring you get a correct reading every time. This monitor's blood pressure measurements are comparable to readings taken using the cuff/stethoscope auscultation method, within the limits of the American National Standards Institute (ANSI), which assures the safety and health of consumers. The monitor features a Pressure Rating Indicator that eliminates guesswork by displaying average readings and indicating whether your blood pressure is high, low, or normal. While a trained professional should always interpret your blood pressure measurements, this monitor provides an easy way for you to see your pulse and blood pressure levels and understand how the numbers compare. The LifeSource wrist monitor also displays a symbol to alert you when your heartbeat is irregular. Plus, even when your heartbeat is irregular, the monitor will provide an accurate blood pressure and pulse rate reading. Two illuminated start buttons--one for morning and one for afternoon--make this wrist monitor simple to use. Additionally, since it operates on two AAA batteries (included), the monitor does not require you to be near an electrical outlet. 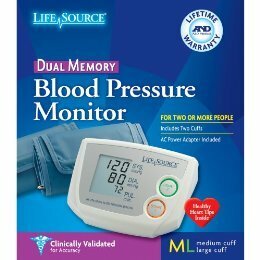 LifeSource Advanced Memory Wrist Auto Inflate Blood Pressure Monitor, two AAA batteries, trilingual instruction manual (Spanish, French, and English), quick start card, four-week blood pressure logbook, and warranty card. A&D Medical has developed state-of-the-art measurement technology to monitor blood pressure readings in the morning and afternoon. The AM/PM memory lets both patient and health care provider monitor spikes between morning and afternoon, allowing physicians to properly prescribe medication. This wrist monitor is smaller, lighter and more compact than other wrist monitors and is ideal for travel. Unlike other monitors that measure blood pressure during deflation of the cuff, the Advanced Memory Wrist monitor measures blood pressure during cuff inflation for a faster, more comfortable reading. This monitor stores the last 60 readings, 30 AM and 30 PM. The Advanced Memory Wrist monitor also offers the Pressure Rating Indicator and Irregular Heartbeat detection. The Pressure Rating Indicator provides a snapshot of your blood pressure classification based on your measurements. In addition, this monitor alerts the user of the presence of an Irregular Heartbeat and provides accurate blood pressure and pulse rate measurements even when an Irregular Heartbeat occurs. Please remember that only a medical practitioner is qualified to interpret your blood pressure measurements. Use of this device should not replace regular medical examinations. Have your physician review your procedure for using this device. He or she will want to verify blood pressure measurements before prescribing or adjusting medications. Consult a physician if you have any doubt about your readings. Make sure to use the correct cuff size when measuring your blood pressure. Do not attempt to service, calibrate or repair this monitor.